Launch Academy: Happy 4th Birthday, Launch! Despite the gloomy weather in Boston, there was no case of the Monday’s in sight this week--because Monday marked Launch Academy’s fourth birthday! We celebrated in style with colorful cakes, donuts, and, of course, pinatas. The past four years have been full of surprises, triumphs, and learning moments, and we’ve highlighted some of our favorite milestones. Take a walk down memory lane with us and celebrate how far we’ve come. May 2013 - Ready, Set, Launch! We kicked off our inaugural cohort in Boston with 29 Launchers. Everyone was nervous but excited to learn, teach, and hone programming skills. Special shout out to those who took a chance on Launch during that first cohort, and a big thumbs up! Also be sure to read Dan's blog post reflecting on the past four years. April 2015 - Our boy is wicked smaht. Launch Academy co-founder Dan Pickett held a lecture at Harvard Business School to an audience of students interested in pursuing opportunities at tech companies or forming their own startups. 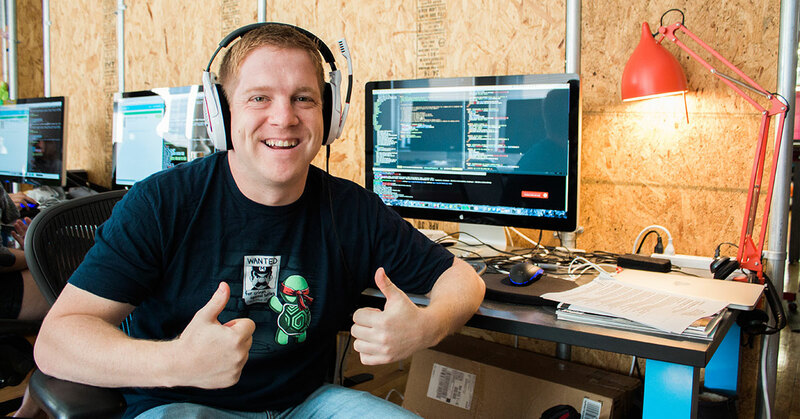 Dan covered the basics of what it means to be a software developer, and even had students pair programming. December 2015 - Online program, engaged. We wanted to make our stellar curriculum available to a wider range of people, so we rolled out Launch Online. Three years later and we’ve helped place over 350 students in their first job as web developers. Launch Academy took a field trip to attend Geek Girl Tech Conference, where our rockstar Experience Engineers taught workshops and Career Services team spoke on panels. By the end of the second workshop, attendees were showing off their virtual Rock, Paper, Scissors game built using Ruby. Thanks, Geek Girl, for a conference to remember! Our very own Corinne Babel speaking on a panel at the Geek Girl Tech Conference. November 2016 - Home sweet home. We moved to a new space in the heart of downtown Boston. Our new office is full of obscure-but-lovable office toys and always buzzing with energy and excitement about our next celebration--like this year’s Pi Day shenanigans. January 2017 - Thanks for the shoutout, SwitchUp! Humble brag alert--Launch Academy was named one of SwitchUp’s top-rated programming schools of 2016. What a way to ring in the new year and keep us motivated in 2017. January 2017 - Gooooood morning, Philly! The City of Brotherly Love is famous for its many charms, from the hearty cheesesteaks to everyone’s favorite boxing legend. 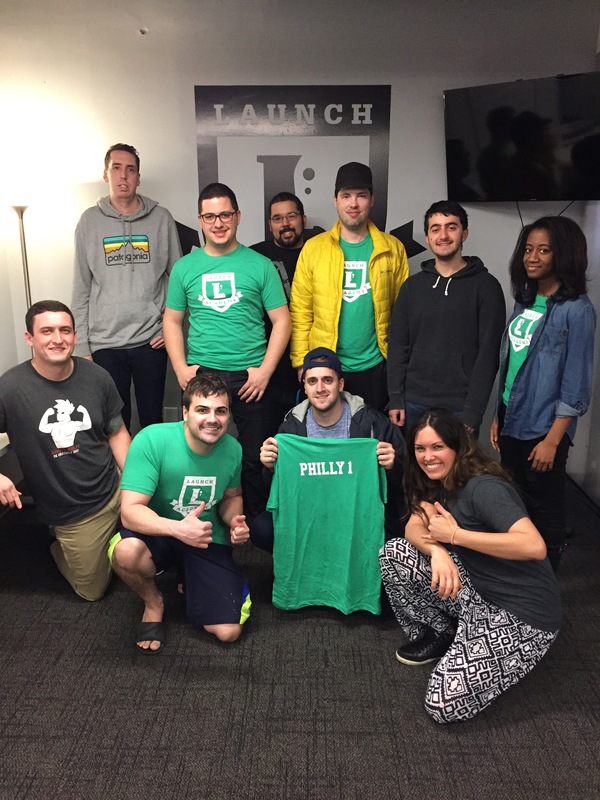 In January, Launch Academy kicked off our first Philly cohort, and started making a name for ourselves in the booming tech scene of this epic city. Launchers of our inaugural Philly cohort. March 2017 - A match made in coding heaven. At the end of March we proudly announced a partnership with First Step Coding, a Boston-based bootcamp preparation program. This partnership was a perfect fit, as prospective students often ask how to prep for the immersive Launch Academy curriculum. April 2017 - We made it official. Let’s be honest, Launch Academy is not your traditional education setting, which can create skepticism. So, how do we prove that we are too legit to quit? Enter CIRR. The Council on Integrity in Results Reporting (CIRR) is the most widely accepted standard in bootcamp reporting, with over 30 bootcamps participating. Launch is proud to join this coalition, and we’re excited to show potential students how dedicated we are to honesty and transparency within our own placement statistics. Launch Academy wants to thank everyone who has supported us through our successes, expansions, and growing pains. Since our inaugural cohort, we’ve changed 500+ lives and counting. Cheers to the last four years, we can’t wait to see where this journey takes us next.